12,280 others viewed this post. It’s the “blue” moon tonight. Not literally, just figuratively, being the occasional month with 4 full moons in a season instead of the regular 3. 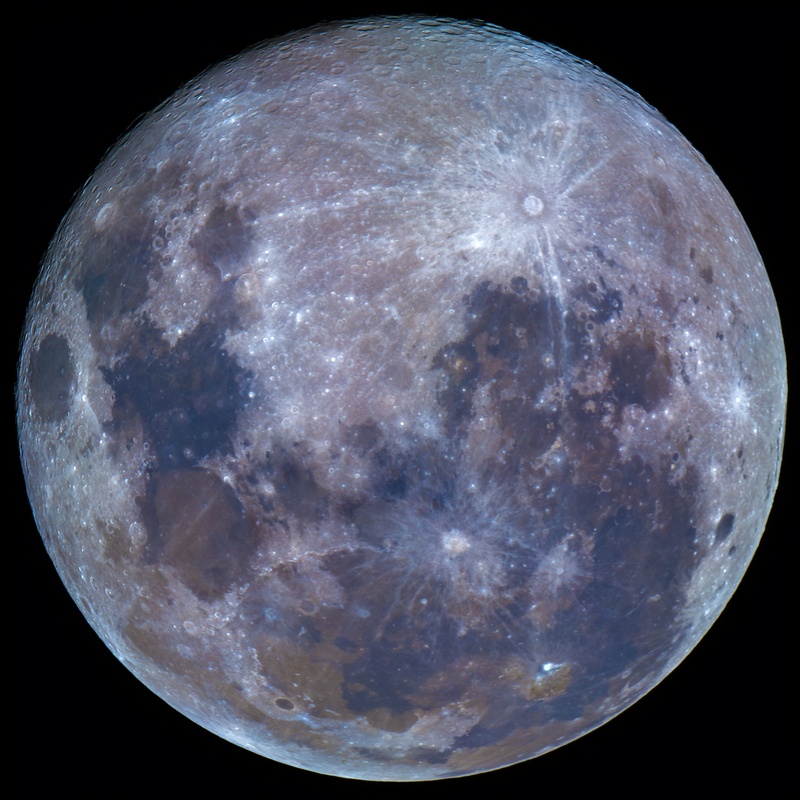 But if you take a photo of the Moon, and crank up those colour saturation sliders the typically monochrome lunar surface transforms into a fairly colourful, and blue, planetary object. Not far from the Moon tonight are Mars, which is currently at opposition so is bigger and brighter than it will be for years to come, and Saturn getting brighter and brighter. So go outside and check it out! Here’s a photo below of Mars I took last night (left) compared to a Hubble photo taken 10 days prior which is really neat. I managed to catch the same basic face of Mars so am able to compare the landscape and weather form the better image from NASA.